Thought of someone who loves rhubarb and fruit cakes (he will recognize himself i think). I tried the salted part of Sweet tea, the Vegetarian fougasse. I liked the filling because it’s like a ratatouille with pepper, eggplant…cooked in olive oil with basilica, so that was just delicious. 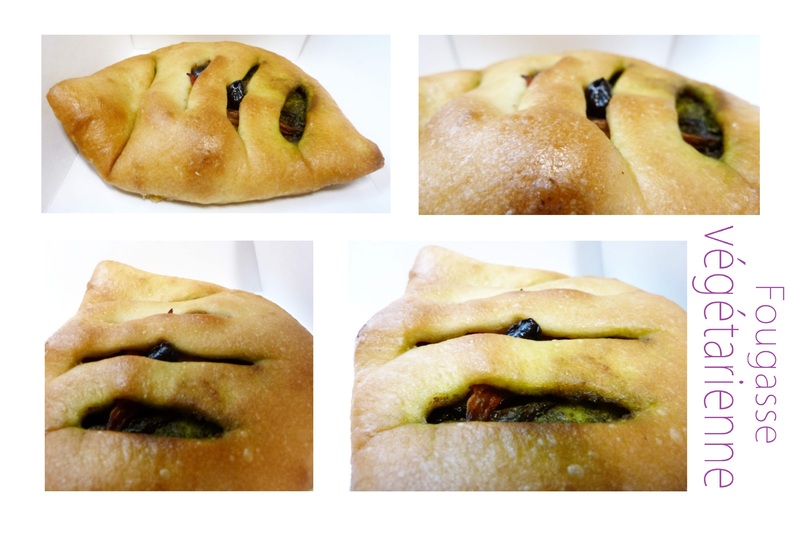 However the bread…i prefer the one from Lalos. Continuing with the sweet part, the cookies were nice, but even though they’re good in flavor, i think that they lack in terms of melting. I love subway cookies because they’re hard on the outside and melting in the middle. Here they’re crispy, that’s good, but not melting. So it’s still not perfect to me. Finally, i tried the last cake, the candied fruit one. I didn’t noticed but yeah, fruit without “s”, and that’s true. Only one grape. They’re really kidding me. A fruit cake with one single grape in the whole cake. Ok, it’s the same size as a madeleine, but still! And it’s not even breath-taking. That’s a total waste of money. I don’t know how many westerners can say they have ever tried to eat cactus, but my friends and i did. It’s a delicacy of Penghu island. You don’t eat the whole thing, don’t worry, but only the part that will turn into a flower. In Chinese it’s called 仙人掌 (xianrenzhang). 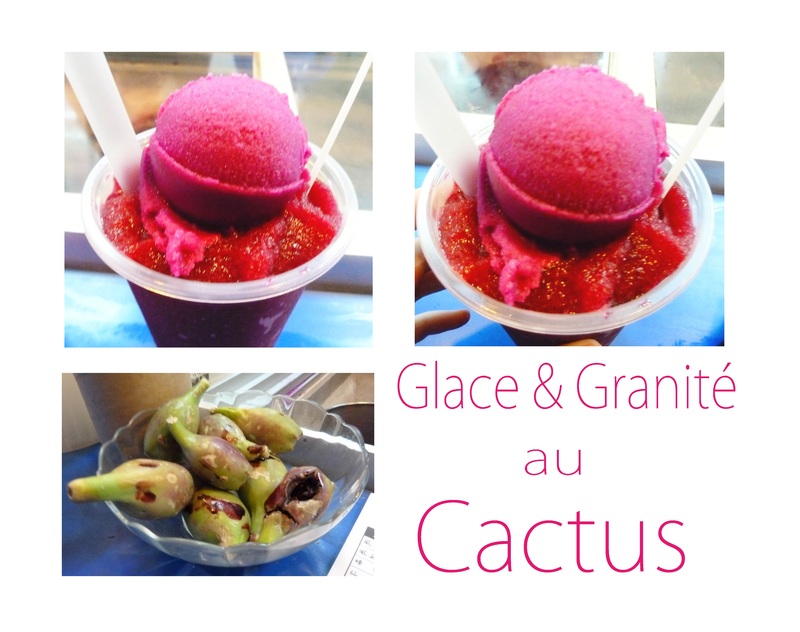 You can have several desserts with this cactus fruit. I tried the ice-cream, the granita and the pie. My favorite goes for the ice-cream, even though it would have been even better if the taste was a little stronger. Then the cactus pie was also nice but a little too jelly-like (it’s nearly like a mochi). Finally the granita was tasteless. I finally got the see the new shop of Jean-Paul Hévin in Taipei 101. It doesn’t seem to have open yet, but i’ll definetely try it. 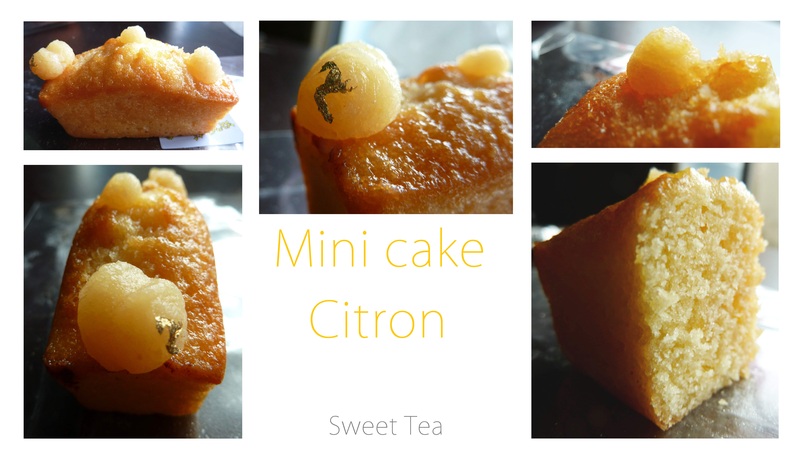 This week in Sweet tea, i tried the small lemon cake and its candied lemon, the strawberry jam financier, the apple tatin tart and the sugar tart. The small lemon cake is nice, but nos as good as the on of Pierre Hermé. Indeed, you have this lemon flavor and the candied lemon is very nice, but it’s a little too dry and heavy compared to PH lemon cake, so it’s more difficult to eat an dnot as enjoyable. Howver the taste is really good. It just depends what you’re looking at when you eat a cake. I would put it between Pierre Hermé and Des gâteaux & du pain in second position. 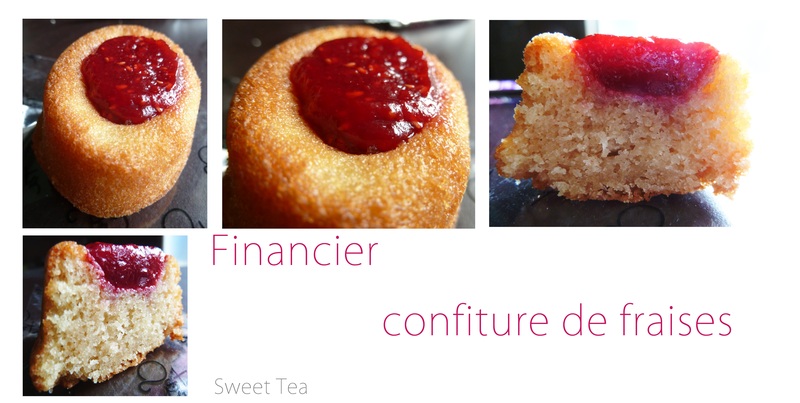 Then,the strawberry jam financier. The jam is delicious, one of the best i’ve eaten, you feel the strawberries under you teeth and the flavor is really strong, it’s totally different from the industrial ones. However i prefer the mix almond-caramel than almond-strawberry jam. The sugar tart. I didn’t know what it was first, but in the end it’s a big “palmier” but in a tart shape. The outside is a little crispy and the inside is soft. It’s sugar, for sure, there’s like asugar syrop that makes it impossible to cut the tart. 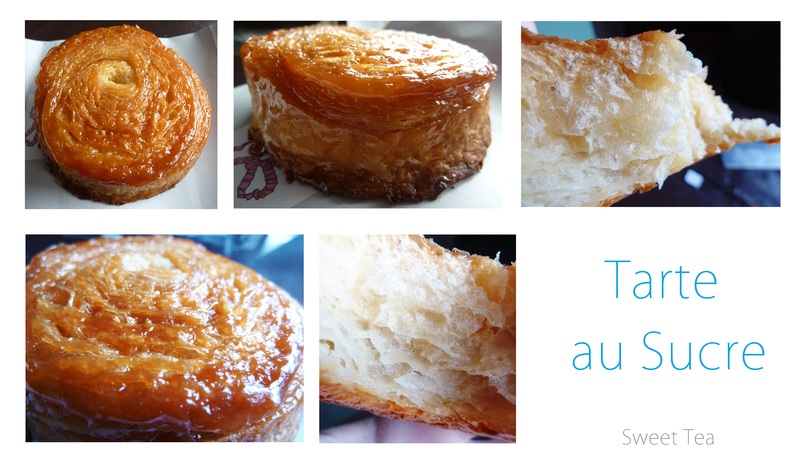 It’s a really good “palmier”, but i am not perticularly fond of this viennoiserie. Overall, i prefered last week fruit tart and caramel financier. I tried a fresh cake in one of the bakery near school. It was actually ok since it’s vanilla. The cake in itself is really light compared to the one we usually have in Europe. The cream is also more like a vanilla chantilly. Put soda powder in 10g of water. Mix the cake flower and the potato starch, add molasses, sugar (as you want but we put around 2 spoons and i think it was enough as there’re the molasses), oil and the 2 eggs while mixing. Pull the soda powder, mix again, and put everything into your mold. Put two glass of water into your cooker pan and your mold. I guess bain marie is ok if you cover both ustensils, because it’s supposed to cook with the steam water. It takes around 30mn. Use the knife to see if it’s cooked. Add sesame. Verser la poudre de bicarbonate dans 10g d’eau. Mélanger la farine et la maïzena, rajouter la mélasse, le sucre, l’huile et les œufs tout en mélangeant, rajouter la poudre e bicarbonate. Verser dans votre moule, et mettre le moule dans le cooker avec 2 verres d’eau. Peut-être que la technique du bain-marie pourrait marcher si on couvre aussi le récipient contenant l’eau bouillante (à tester). Laisser couvert environ 30mn. On peut utiliser le couteau pour vérifier la cuisson. Sortir du cooker, rajouter des graines de sésame. I asked for the best Taiwanese Bakery, and the people at the I-house gave me this one. At least it’s the most famous, after for the taste, as there’re so many bakeries, it’s quite difficult to judge. Anyway, there were a lot of people there. It’s nearly like a factory! Because in Taiwan, if you have guests or if you need to offer something to business partners, or just other people, Pineapple cakes are the best thing. So of course you have a lot of people coming. 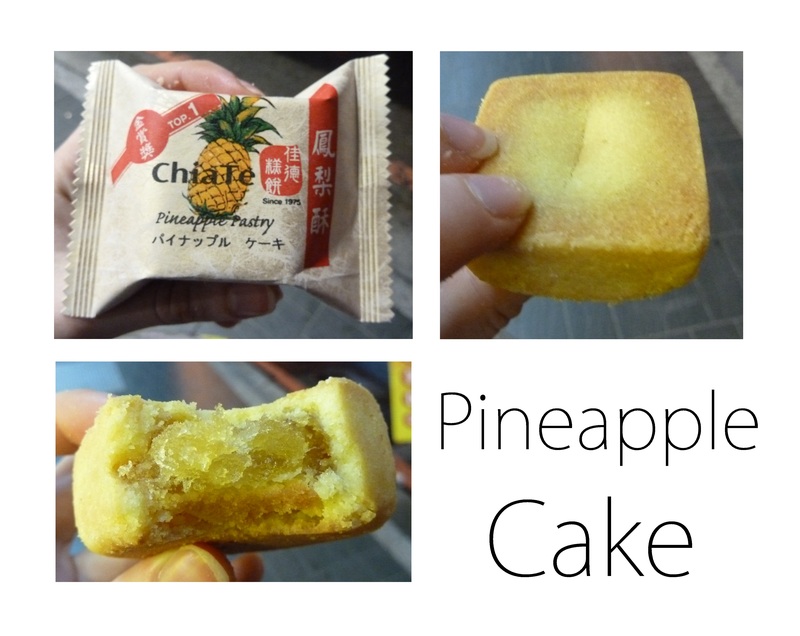 I tried the Pineapple cake (they have a lot of different ones, but the most famous and typical is the Pineapple one, so!). 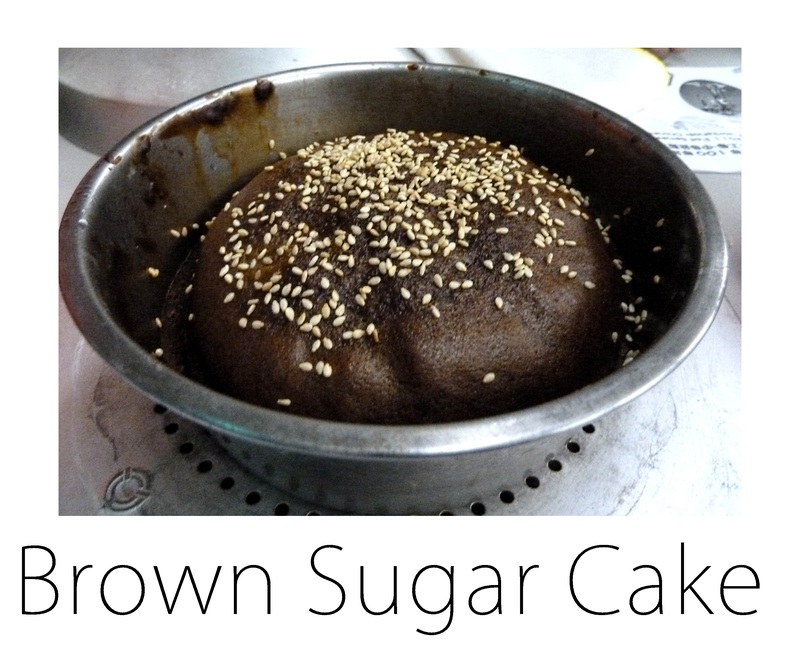 It was great because it wasn’t too sweet compare with some other i already had, and the dough wasn’t as crumbly neither. Really good. 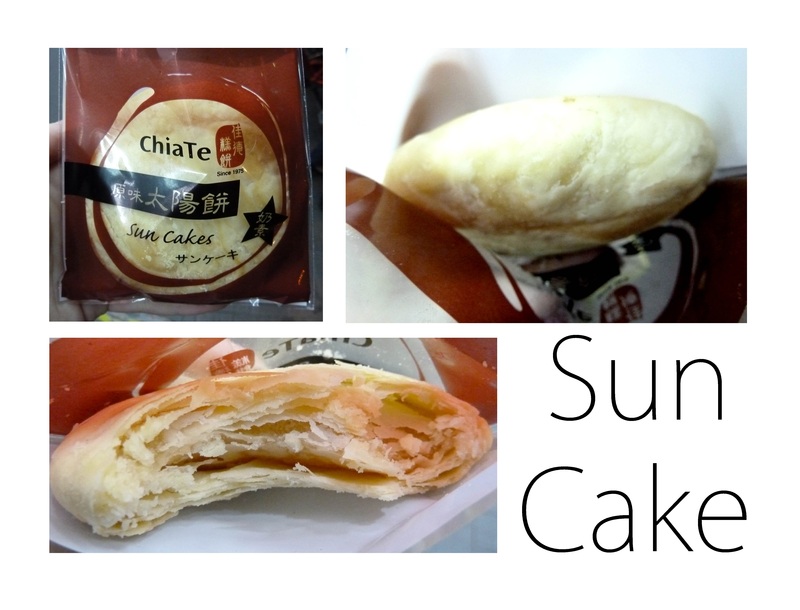 Then i picked my favorite Taiwanese traditional pastry after the Pineapple cake the Sun cake! I hate Moon cakes but i like Sun cakes. It’s a little bit like “frangipane” (not as good but it helps to wait for January). Again a lot of layers and it’s hard to eat, but it was good. 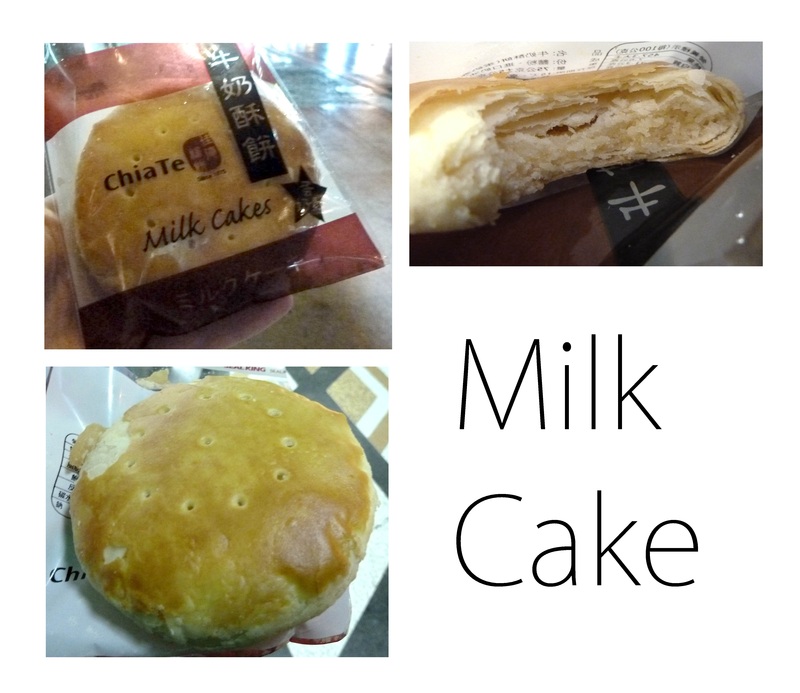 Then i tried for the first time the Milk cake. 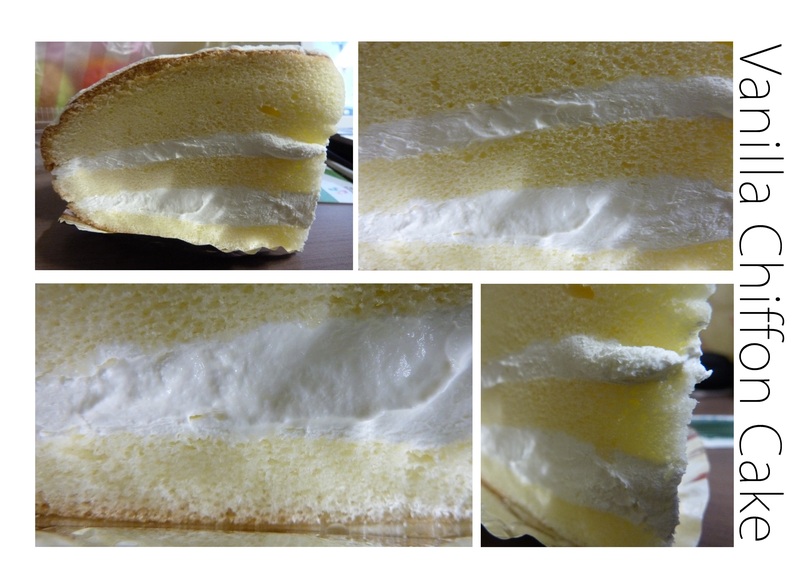 It’s pretty much the same as the Sun cake, except the filling inside, that i find too heavy. I prefer the Sun cake.